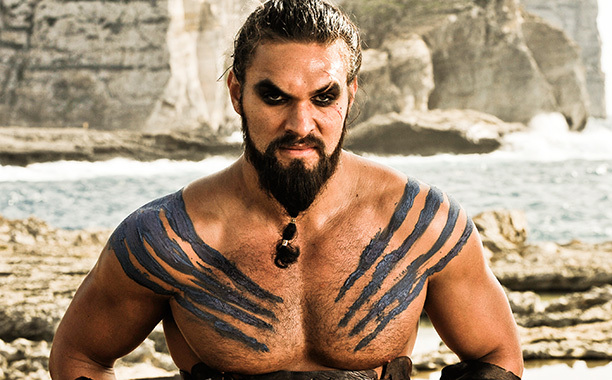 You know, we really miss Khal Drogo. We seriously do. And not just because he was oh-so-pleasant to look at, but because his relationship with Dany was one of the best and most positive things (near the end, anyway) happening on Game of Thrones. Although we got a brief glimpse of what Drogo and Daenerys’ life might’ve been like with their child Rhaego in Season 2’s finale “Valar Morghulis”, it’s been a hot minute since the words “family” and “Daenerys” have been said in the same sentence. Of course, Jason Momoa (aka Khal Drogo) has oft documented his support and love for his fictional wife, Emilia Clarke. 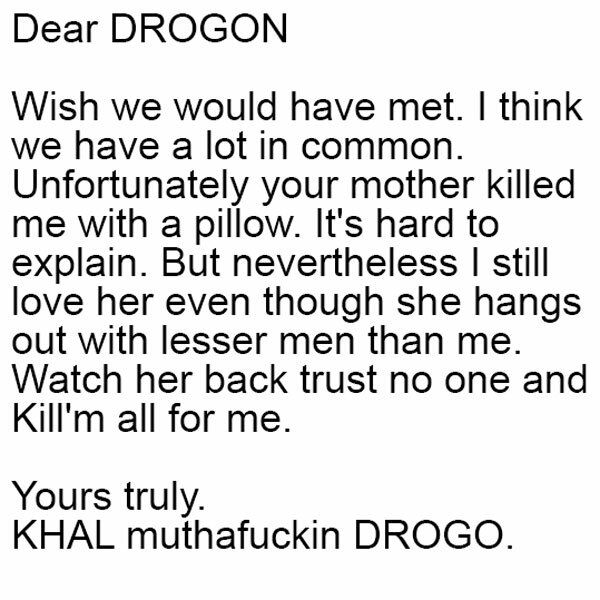 And now, back in character as Drogo, he posted this funny and really quite beautiful message as Khal Drogo to what would’ve been his Dragon-son, Drogon, on Instagram. Man. That would’ve been the best. To see Daenerys, Khal Drogo, AND Drogon all together?! CAN YOU IMAGINE?! 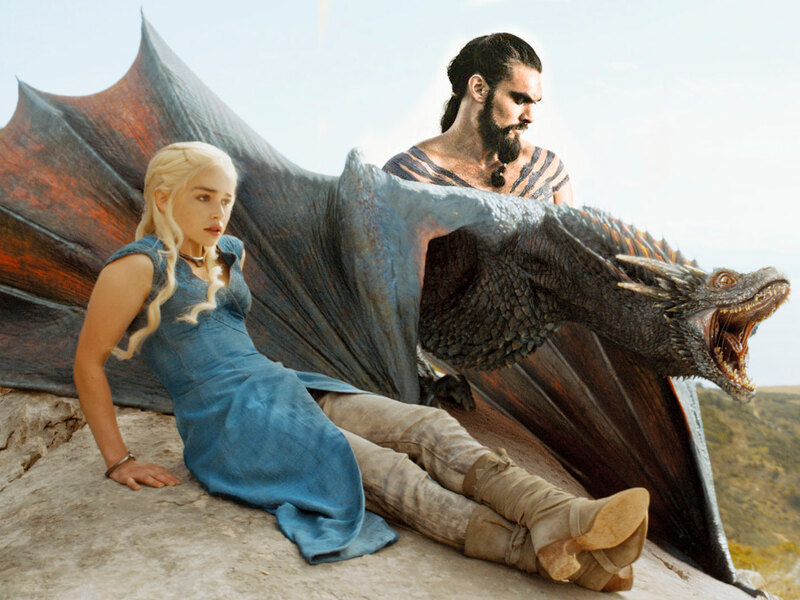 But we’re pretty sure Drogon will heed Drogo’s advice and watch his mama’s back. He already has… many times.